As much as the valley floor vineyards allowed early ripening and fast noble rot development, the Gewurztraminer located on hillsides were actually slower to develop botrytis. The Heimbourg vineyard faces both south and west, but all the Gewurztraminer is planted on the west side at the lower part of the steep slope. The grapes take long to reach full ripeness and stay healthier much longer. It really took all the sunshine of late September and most of October to allow these grape full skin ripeness, while retaining great structure. Heimbourg produces a subtle aromatic style of wine that never is the most powerful but can be extremely seductive in its youth. The rich calcareous soil allows for spicy flavours as the wines gets older. Later harvest, under some colder weather, also explains a slower fermentation and therefore more lees contact. 2/2010: the nose shows immediately the calcareous influence: very elegant and less obvious style. The rose aroma seems more distinguished and subtle. The palate shows longer ripening because the acidity feels less aggressive and the finish is velvety. The sweetness is welcomed in this style of wine, without overpowering the structure. 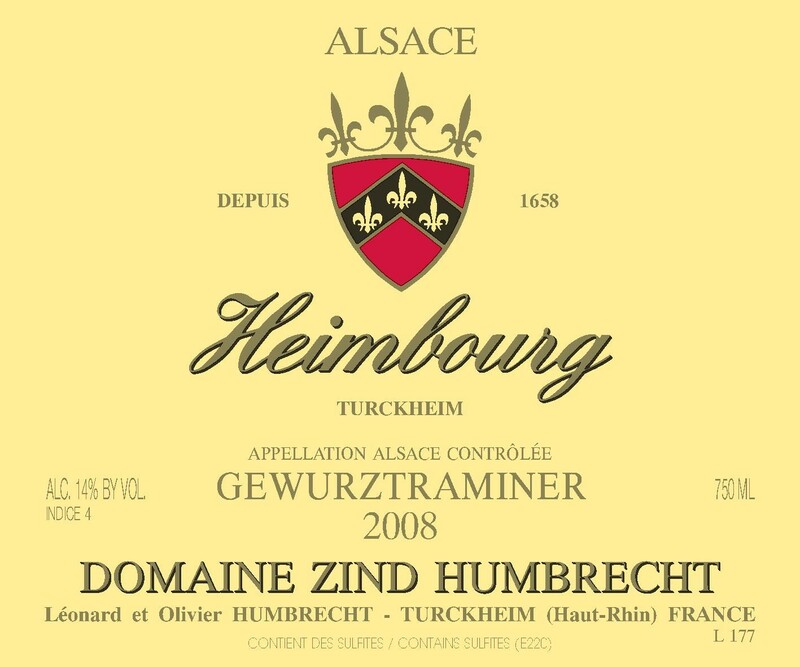 The Heimbourg vineyard was in great shape in 2008 and produced some long lasting elegant wines.